Gold Rush is an American 60 minute reality nature television series, which kicked off on December 3, 2010, on Discovery Channel and is broadcast every Friday at 21:00. The show is currently in its 9th season. Discovery Channel is yet to announce the renewal of Gold Rush for Season 10 as well as its cancelation. Sign up to track down the show's status and its release date. 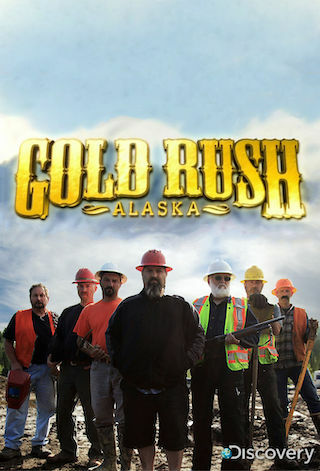 Gold Rush follows six men who, in the face of an economic meltdown, risk everything - their families, their dignity, and in some cases, their lives - to strike it rich mining for gold in the wilds of Alaska. Inspired by his father Jack, Todd Hoffman of Sandy, Oregon, leads a group of greenhorn miners to forge a new frontier and save their families from dire straits. While leasing a gold claim in Alaska, Todd and his company of newbies face the grandeur of Alaska as well as its hardships, including an impending winter that will halt operations and the opportunity to strike gold. In an effort to keep the operation running, the team takes fate into their own hands with a make or break venture that will change their lives forever.